Klein Karoo Toyota bestaan al sedert 1972, en is steeds onder die De Wet-Familie se Bestuur. Wenner van Toyota Handelaar van die Jaar toekennings, sowel as ABSA se Handelaar van die Jaar titel al 22 keer. Klein Karoo Toyota het 65 werknemers met 42 jaar opgehoopte ondervinding. Klein Karoo Toyota is baie betrokke by gemeenskapsprojekte en skole, en is altyd beskikbaar om by sport en gemeenskap-saamtrekke te help. Ons Werkswinkel beskik oor van die mees gevorderde tegnologie en van die hoogs gekwalifiseerde tegnici In die Suid-Kaap. Drie van ons personeel het die jaar onder die top 5 geëindig met die Toyota Skills kompetisie, in hulle onderskeie departemente. Kom besoek gerus ons moderne verkoopslokaal, ons verkoopslui is ten alle tye beskikbaar vir navrae en inligting rakende die Toyota produkte. Ons roem ons op ons goeie diens, kwaliteit produk en lojaliteit aan ons kliente! Die tuiste van die Hilux! 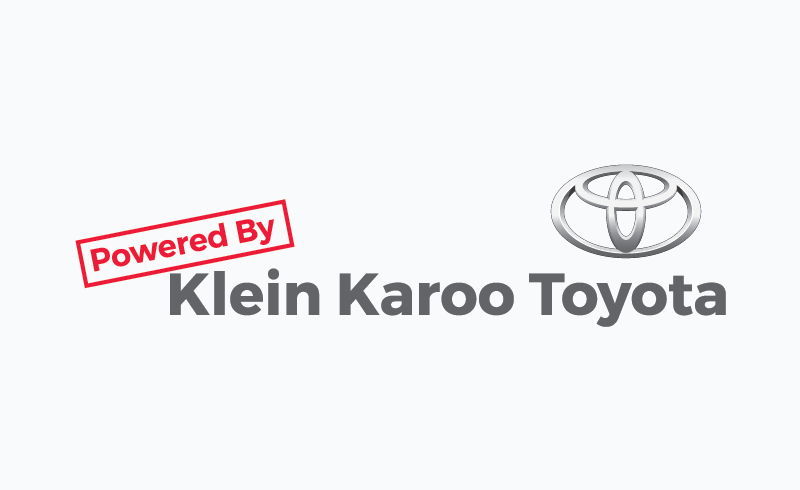 Dis vir ons as Klein Karoo Toyota ‘n geweldige voorreg en eer om betrokke te wees by die Meiringspoort Challenge en hoop en vertrou dat ons nog vir baie jare deel mag wees daarvan! Winner of 6 International Awards. If you’re thinking of selling your home, Rawson Property Group love to assist. Or perhaps you simply want to enquire about the value of your property – we can help with that too. With a 30-year track record, you’ll discover lots of reasons to trust Rawson with your sale. At Rawson, we are passionate about developing property professionals through a commitment to training, systems and family values. 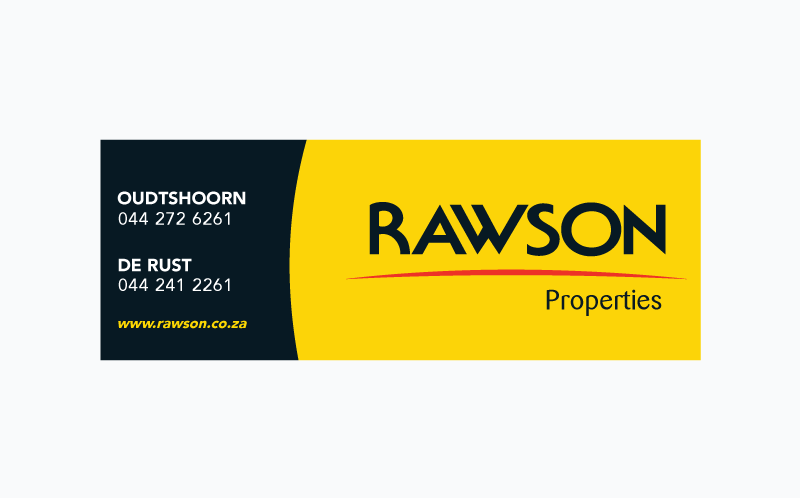 If you’re looking to build a career or a business in property, let Rawson show you the way. Discover a world of unique experiences and be inspired by the city of Cape Town and the Western Cape’s wine & cuisine, culture & heritage and events & festivals. Add activities to your trip with the suitcase icon and then share it with friends so that they too can fall in love with one of the leading destinations to travel to. There’s no better place to ride and run in. Get your pulse racing and feel the wind in your hair as you explore the many switch-backs, single-track, dirt road and “road less travelled” options in the Western Cape. Our bike and run-friendly city, with its unmatched natural beauty, invites people from around the world to participate in world-class big and small events for riders. We are proud to be a sponsor and involved in the Meiringspoort Challenge, held in De Rust. 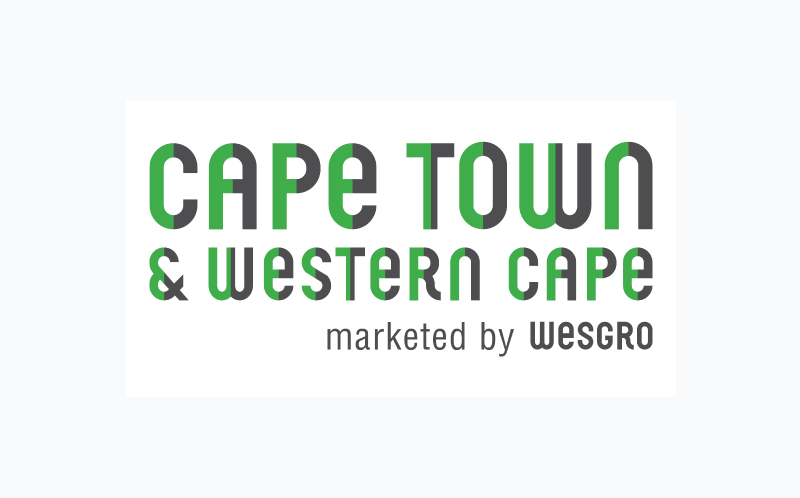 Enjoy your experience in the Western Cape. 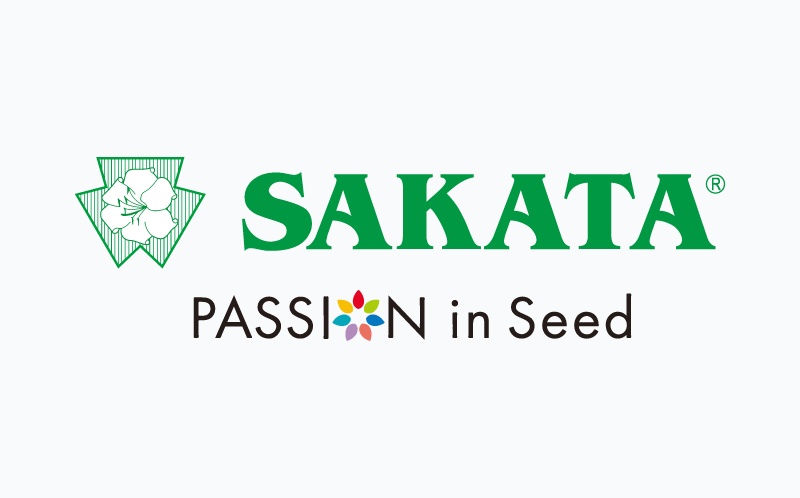 SAKATA IS PROUD TO BE A GLOBAL LEADER IN PRODUCING TOP-QUALITY SEED. By constantly improving our seed scientifically and supplying excellent expert support to farmers, we want to ensure that we continuously provide the best product quality, consistency, diversity and nutritional value. 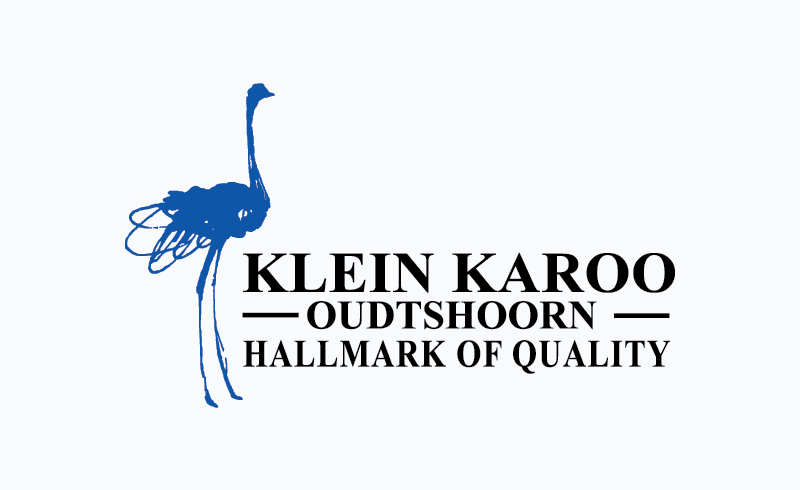 Klein Karoo Internasionaal, gevestig in Oudtshoorn, is die grootste verwerker van volstruisprodukte ter wêreld. Vere van wilde volstruise word reeds vanaf 1826 uitgevoer, maar sedert 1945 toe die Koöperasie gestig is, is KKI die grootste verskaffer ter wêreld . Volstruise word hoofsaaklik vanuit die Klein Karoo omgewing geproduseer. KKI verskaf rou- en gaarvleis produkte aan die buiteland asook volstruis en krokodil leer. Vere wat gebruik word vir die kostuums by die Karnival in Brazilië asook die Moulin Rouge word deur KKI verskaf. Volstruisvere speel ook ‘n belangrike rol in die motorindustrie aanlegte. KKI is die grootste werksverskaffer in die omgewing en bied goeie werksgeleenthede vir die inwoners van Oudtshoorn. KKI is ook betrokke by sosiale ontwikkeling van Oudtshoorn en omliggende dorpe se gemeenskappe, deur middel van betrokkenheid by sport aangeleenthede. KKI ondersteun ook graag die skole in die omgewing met borgskappe van produkte om hulle fondsinsamelingsprojekte te bevorder. Over ten thousand people take part in our events every year. 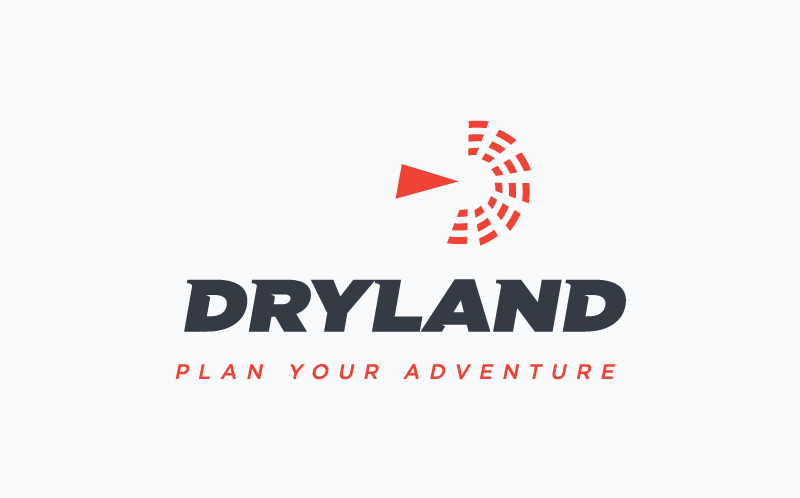 Whatever your sense of adventure or ﬁtness level, Dryland has an event that speaks to you. That’s why people are making Dryland events a priority on their annual calendar. Dryland owns and operates fifteen mountain biking and trail running events, nationwide. 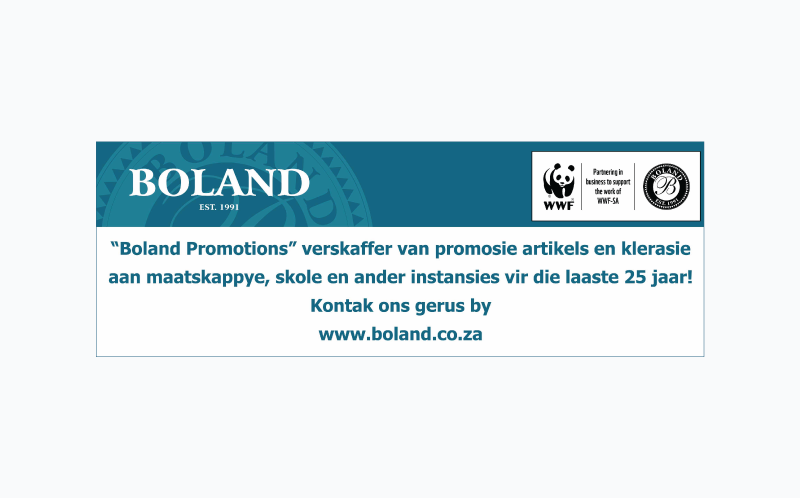 Boland Promotions is one of the leading Promotional Companies in Southern Africa that manufactures locally, imports and sources the supply of Promotional products and other Branded clothing. Boland has been supplying businesses, FMCG brands and institutions with Promotional and Corporate Clothing as well as Premuim gifts since 1993. As a Level 2 B-BBEE compliant company, Boland, is involved in a number of programmes for social upliftment, training and more. Boland Promotions is also a Prooudly South African company that understands the unique challenges of its clients and continually builds on the track record of delivering World-class service and products to its customers. We look forward to adding brand value to Meiringspoort Challenge through our business. 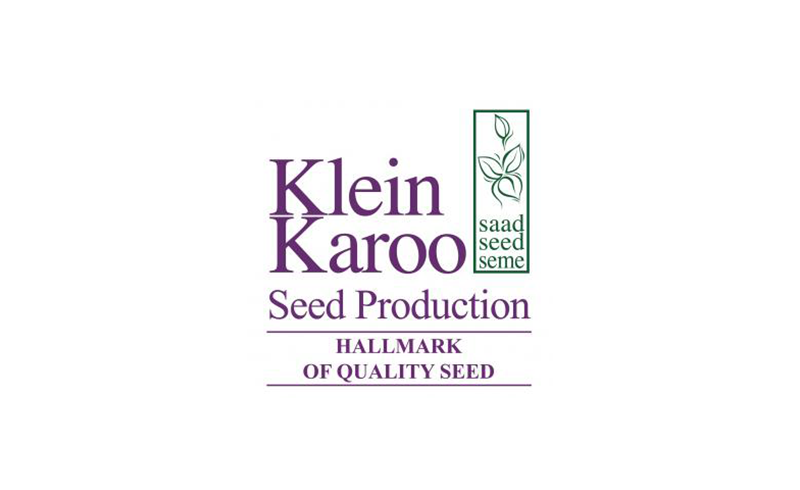 Klein Karoo Seed Production (Pty) Ltd specializes in the production of high quality vegetable, forage, pasture, agronomy and organic seed on a contract basis for seed companies from all over the world. We are based in the Klein Karoo, a fertile valley between the Swartberg and Outeniqua mountain ranges in the Western Cape, South Africa. We have more than 35 years of experience in seed production and provide an efficient and highly specialized service to our clients. Therefore we are being regarded as professional partner and preferred seed production company by many international seed companies. Being located in the southern hemisphere, companies in the northern hemisphere regard us as a strategic provider of seed for an all year around seed supply. Our vegetable seed range includes open pollinated and hybrid varieties such as onion, bunching onion, leek, radish, beetroot, carrot, pumpkin and squash. We have technologically advanced seed cleaning facilities and a fully equipped ISTA accredited seed testing laboratory. Our well-trained and highly experienced technical production advisors are fully equipped to assist our seed growers and clients. We are proud of our dedicated team of producers who take special care of every seedling to ensure Hallmark of Quality seed every season. Our mission is to supply seed of the highest quality, advice and professional services to our clients around the world and provide our seed growers with the highest level of advanced technical support unlike any other similar organization in the world. Our technical personnel specialize in the multiplication of vegetable – and field crop seeds. We are not involved in marketing or breeding. Our services are solely related to seed production and seed multiplication for our clients in South Africa and internationally. Our services include Seed Production, Seed Cleaning and Packing, Quality Control and Shipping. 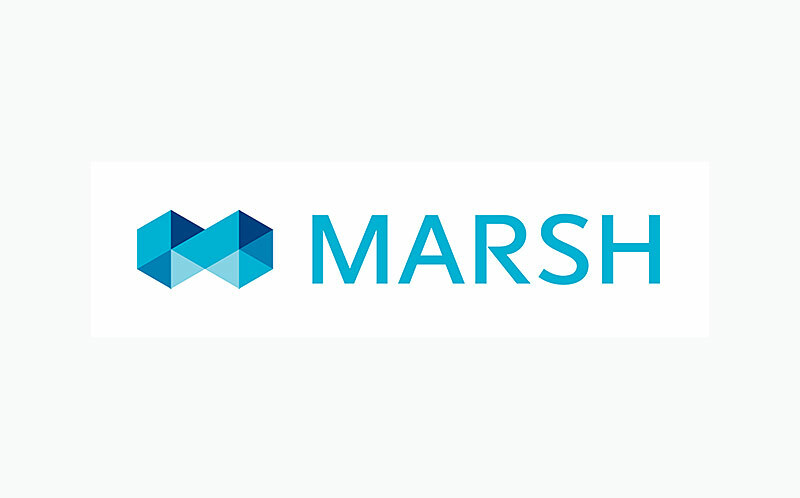 Since 1871, clients have relied on Marsh for trusted advice to represent their interests in the marketplace, make sense of an increasingly complex world, and help turn risks into new opportunities for growth. Our more than 30,000 colleagues work on behalf of our clients, who are enterprises of all sizes in every industry, and include businesses, government entities, multinational organisations, and individuals around the world. Since Johan van der Westhuizen Sr. started producing vegetable seed in 1954 on the Rooirivier farm, we have expanded our business with the addition of several family owned farms. The founder’s sons and two grandsons joined the company with the three sons actively involved in every aspect of seed production. Over the years, we have evolved as a leading agricultural concern – from a regional market leader to a significant exporter to Europe, America, South East Asia and Africa. Our location, close to the southern tip of Africa, offers northern hemisphere seed companies counter-season seed production, which extends their crops during any year. The distinct quality of our seed is well known and our satisfied customers worldwide are proof of the excellent service and products we offer. With almost 60 years of production experience, our family business is recognized as a valuable partner and supplier in the seed production niche. The distinct quality of our seed is well known and our satisfied customers worldwide are proof of the excellent service and products we offer. With almost 50 years of production experience, our family business is recognized as a valuable partner and supplier. The bulk of our production is exclusive and supplied on a contractual basis, but we also render a wholesale service. 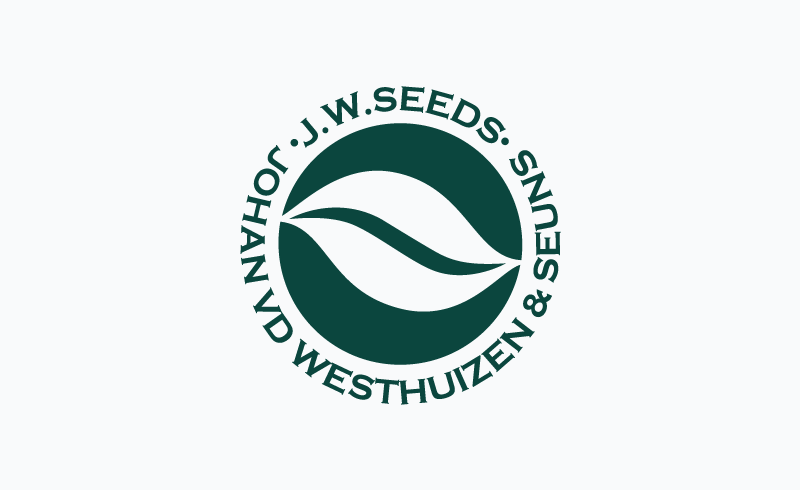 JW Seeds’ head office is based in a region known as the Klein Karoo, which is renowned for being the principal cropping area for vegetable seeds in Africa. The micro-climate is ideal for the production of premium vegetable seeds, aside from its popularity as the ‘ostrich capital’ of the world. Through the past 5 years, the production areas expanded to the West Coast, Northern Cape and Eastern Cape as well. These relatively new areas, gave JW Seeds the opportunity to increase their potential throughout the country. Our total management program encompasses every aspect of seed production and our dedicated team takes pride in the long-standing relationships with suppliers and customers. We welcome visits to the different production areas by traders, who always enjoy the warm hospitality that South Africa offers. 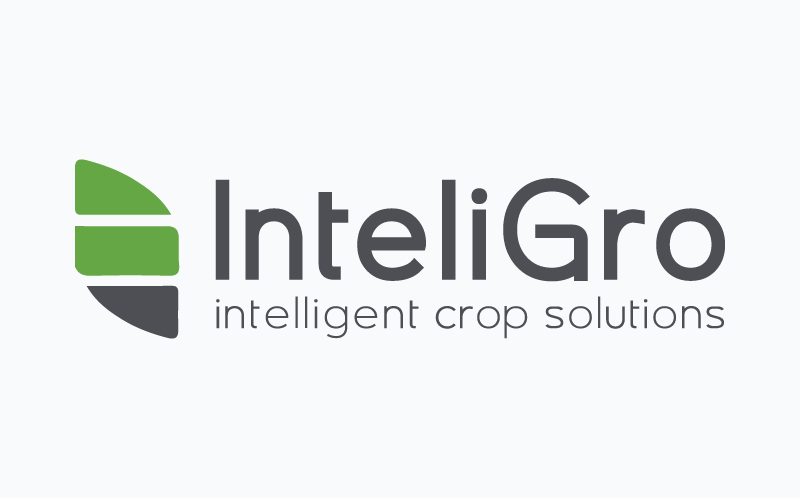 The newly formed InteliGro was established in April 2016 with the integration of two industry leading crop solution companies, Terason and TechniChem, with a combined experience of 45 years in agriculture. With Head Offices in Wellington and Viljoenskroon, crop solution initiatives are brought to farmers across South Africa in the southern, central, eastern and northern parts of the country. InteliGro is favorably positioned to handle food security challenges in agriculture, by means of their solutions focused approach, with yield optimization and improved quality as the main goal. InteliGro offers a combination of products, skills, technology and expertise through specific programmes and applications to ensure sustainable agriculture. The core business of InteliGro is to supply producers with the necessary tools enabling them to achieve their objectives for sustainable farming. Meiringspoort Challenge is one of South Africa’s best and most amazing MTB & Trail Run events. The Meiringspoort Challenge give you a platform to reach hundreds of athletes and riders, participating in the most beautiful Klein Karoo. 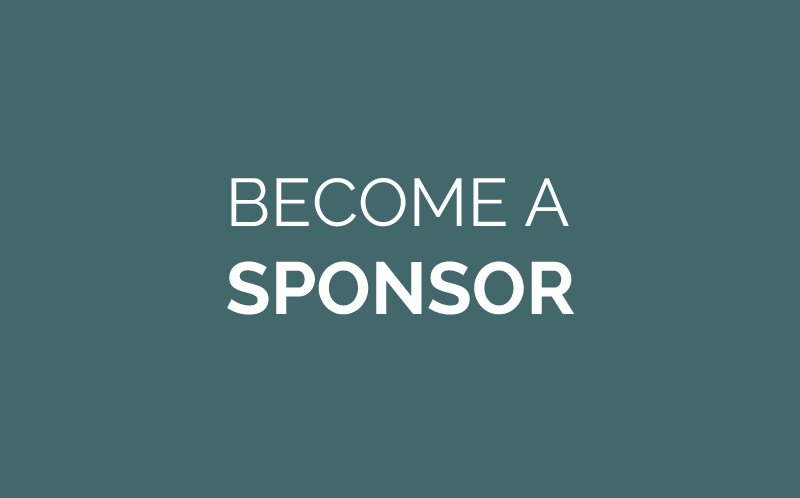 Use this unique event to increase brand awareness and expand horizons, of your company, large or small. Participating in the Meiringspoort Challenge event, as a sponsor, benefits your company and your employees. Use this opportunity to engage your employees by having them join the race & rides. Send a mail to meiringspoortchallenge@gmail.com and we will contact you immediately.